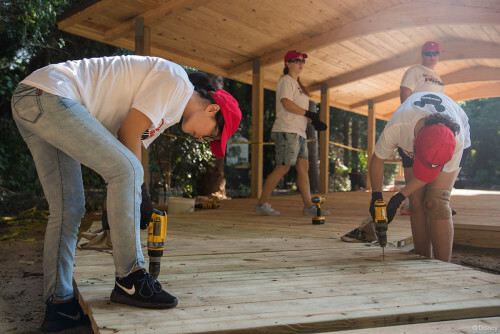 On Saturday, October 10, 2015 VoluntEARS from the Disney Fantasy, lent a hand to help construct a boardwalk pathway leading to a new park pavilion at the Pine Island Conservation Area located in Merritt Island. 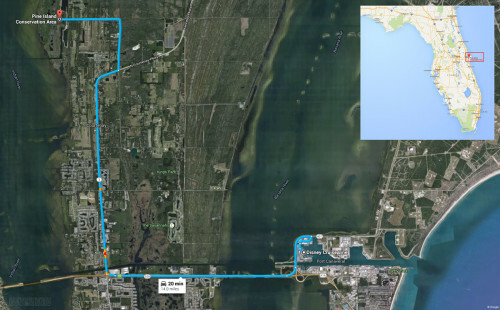 The Pine Island Conservation Area boasts over 900-acres where guests can connect with nature. The new pavilion will be available for schools and community groups for educational purposes. It will provide shade and mosquito protection for park guests, allowing the conservation area to serve as a place for education year around, even in Florida’s hottest months. The ADA accessible pathway will ensure that all guests have access to the pavilion and park experiences. 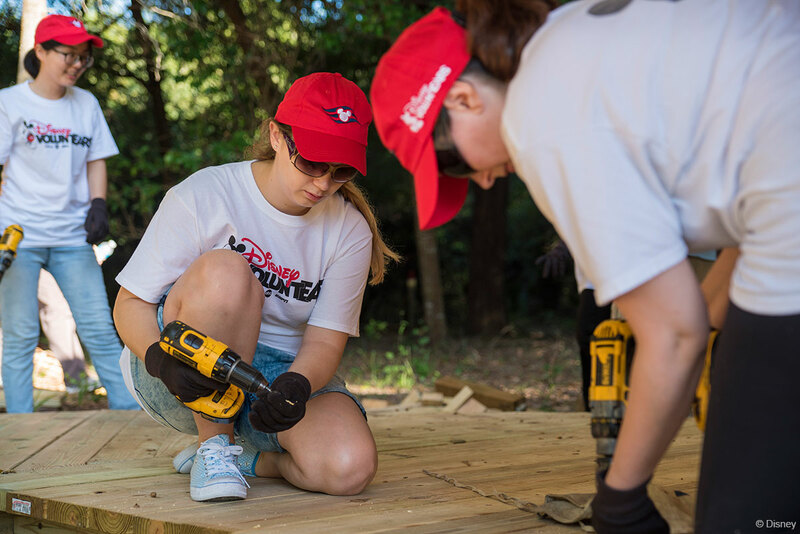 Each year, Disney Cruise Line cast and crew members donate thousands of hours of their personal time to benefit worthwhile causes in Brevard County and port communities around the world. This entry was posted in News and tagged VoluntEARS by Scott Sanders. Bookmark the permalink.